Arriving at Avery Green Honda later this month is the all-new 2017 Honda CR-V. This redesigned Honda CR-V ushers in the fifth generation of the model, which made its debut in 1995. Some of the updates on the new CR-V include new styling, more technology, and new engines. Inside, buyers will find premium materials throughout the cabin, especially on the higher trim levels. Features like stitched seats, soft-touch panels, leather upholstery, and a driver’s memory seat will make the cabin feel like an oasis. 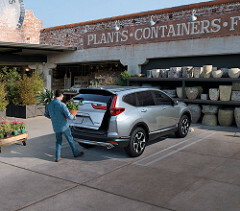 There are also several convenience features that will make the CR-V even more enjoyable. These include a physical volume knob for the audio system, a hands-free tailgate, remote engine start, and Apple CarPlay and Android Auto. With crisp lines along the front end and muscular fenders, the new CR-V has a solid look. In the back, there is a new, distinctive LED taillight pattern. Under the hood, the CR-V comes equipped with either a 2.4-liter four-cylinder on the base trim or a turbocharged 1.5-liter four-cylinder on all other trims. Both engines are paired with a CVT. 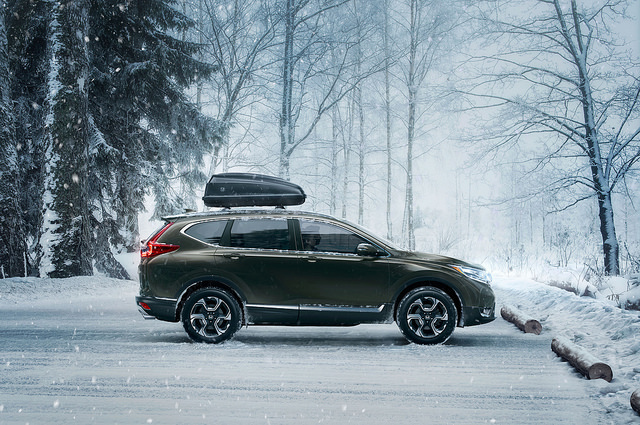 If you want to test drive the all-new CR-V, give us a call today and we’ll let you know as soon as they arrive.